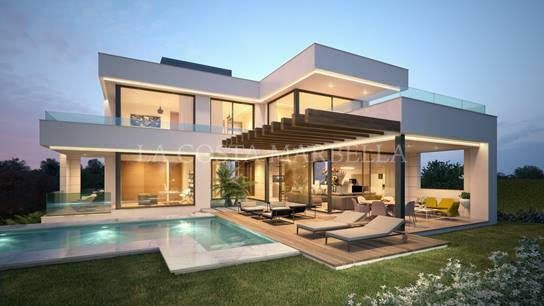 Superior finishing qualities, contemporary design villa, project of the prestigious architecture studio González and Jacobson, South-West orientation first line golf, located in La Cala Golf Resort, with three 18-hole golf courses. 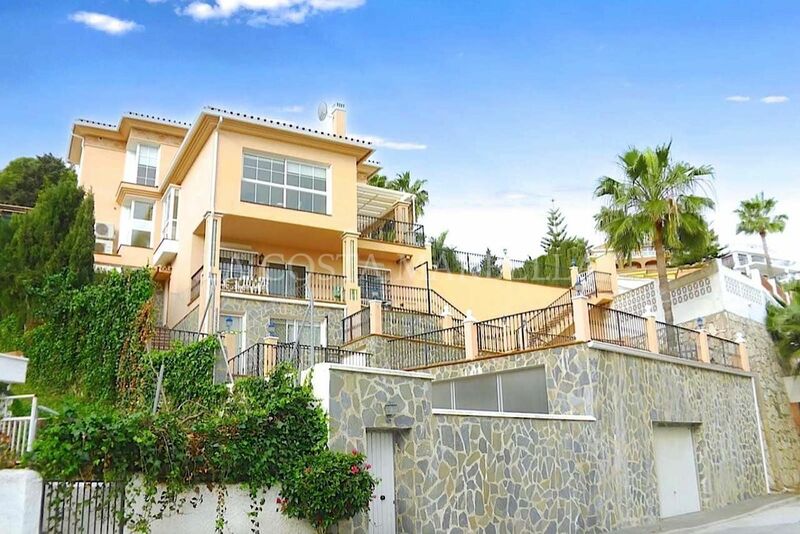 Five minutes from one of the best beaches on the Costa del Sol with its typical Chiringuitos bordering the Sendero del Litoral, in the middle of an idyllic landscape, bordering 7 km of sea between the rocks to Puerto Cabopino in Marbella. The location enjoys an extreme tranquillity. Entering through a large portal with remote control is a garage with capacity for 5 cars, spacious and bright connected to the side of the machine room (pool cleaner, heat pump for the underfloor heating throughout the villa, 2 tanks of water reserve and site for tools), on the other a large surface for laundry and another that could be used as a leisure place, a cinema or even an office with the possibility of installing a large window. A wide central staircase with space for a possible hydraulic glazed elevator (optional), communicates to the next floor and entrance/reception, being left a good surface for the kitchen in an open plan, annexing the living and dining room, bordered by an exceptional pool and leisure and comfort area for "al fresco" meals under a design pergola. The access to the terrace and garden areas is through two huge windows that reach from the floor to the ceiling. Towards the right side of the entrance to the villa there is a complete bathroom and an office or bedroom for guests that focus on the pool on one side and a covered porch and garden with views over the lake at Hole 6 of the Golf Course by the other. On the upper floor, there are three additional bedrooms; one of them is the master bedroom with bathroom en suite a large terrace with excellent views and a spectacular dressing room. Another bathroom is located next to the other 2 bedrooms. All bedrooms have large windows with magnificent views. Round out these exquisite villa extras such as: air conditioning, alarm, heated floor in bathrooms and underfloor heating throughout the villa, automatic sprinkler irrigation, fitted wardrobes in all bedrooms, pre-installation of solar panels, lighted garden, as well as the swimming pool. With the purchase of this villa La Cala Golf Resort offers a Privilege card with discounts at the Hotel, bar/restaurants and for the owners and family to be a member with an annual, very special fee, of the three golf courses. 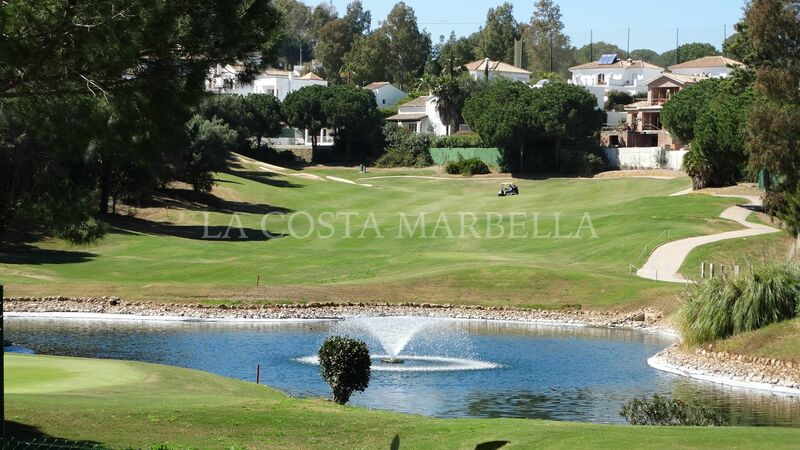 Please, send me more information about ref LCM-V2991, Villa in La Cala Golf, Mijas Costa or similar properties.